We have discussed earlier that sorrows do not afflict persons who serve Hanuman as he drives away their sorrows and instills courage into them. In addition, He solves their problems and ensures that they emerge victorious. Their desires also get fulfilled. A long time ago, in the city of Varanasi there lived a poor devotee by name Dharmika. He resided within the Rama vatika (garden), by the banks of the River Ganga. He was contented with whatever meager food he could fetch and supported his family with it. He had a son by name Dharmakeerti. True to his name this noble boy possessed many great traits. He was well educated and served his elders in all humility. The dire poverty faced by the father and the struggle he went through to procure even the basic needs caused great distress to Dharmakeerti. He felt very sorry that they had to face such hardships. He resolved that he should support and sustain his family through some means or the other. With this intention, one day, without informing anyone, he silently left home. He traversed through the country on foot. During this travel he reached the sacred pilgrimage centre Gokarna. Strange! While he was having the darshan of Lord Gokarneshwara (Lord Shiva), the subtle tendencies from his past births enveloped him completely and he was immersed in devotion towards this Lord. Quite a few people experience this. When they visit certain sacred pilgrim centres, the impressions of their past births magnetize them towards the deity. Dharmakeerti completely forgot all about his family. Even forgetting himself, he began to earnestly worship and serve Lord Gokarneshwara. He turned out to be an ardent devotee of this Lord. Days passed into months. Dharmakeerti was completely involved in this service to the Lord and was totally oblivious to everything else. Here, at Kashi, his father began to worry about him. All his efforts to trace his son were futile. It appeared as if he had disappeared forever. This grieving father began to enquire the whereabouts of his son from every person he came across. Dhaarmika was initiated into this Swapna Anjaneya mantra. While leaving, Sutapta reassured him that Lord Hanuman himself will inform him the whereabouts of his son and the time period as to when he would return. With a firm resolve, fixing his mind totally on Lord Hanuman, Dhaarmika began his mantra japa. After a certain period of time, one night, Hanuman appeared in his dream and said, “Dharmika, do not grieve. Your son Dharmakeerti is healthy and he is in the sacred place of Gokarna. He is happily immersed in offering services to Lord Shiva. I am appearing before you only to give you this good news about your son. Please understand that I am Swapna Hanumanta. May good befall you” so saying, Hanuman disappeared. Dharmika woke up and shared this joyful news with everyone around him. Exactly at this time, in Gokarna, Lord Gokarneshwara reminded Dharmakeerti of his family back home. He was asked to return to them. By this time, Dharmakeerti had totally washed away all his bad karmas. In accordance with the order of Lord Gokarneshwara, Dharmakeerti returned home and brought joy to all his family members. He lived happily thereafter. Ardent worship of Hanuman ensures that the person gets back the lost items. It brings peace. In addition, the person also brings joy to all people around him. 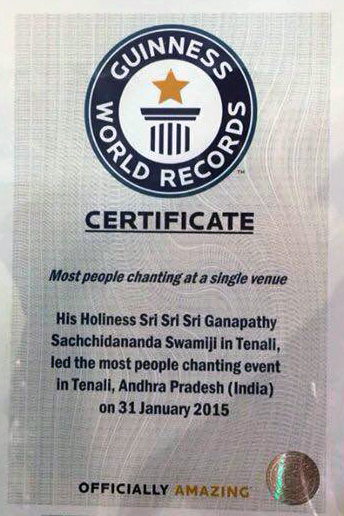 Such are the results obtained through the worship of Swapna Anjaneya swamy. For successful completion of different tasks, there is a procedure of worshipping different mantras of Hanuman.